Progressive Power & Control sells wireless radio remote controls, tethered controls, CAN-bus controllers, wireless controls, wireless receivers, and radio controllers from Magnetek. 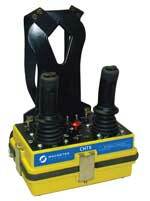 These devices can be used to control hydraulic systems used in mobile hydraulic equipment. 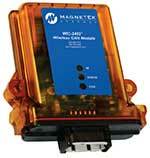 Magnetek manufactures a wide variety of wireless transmitters including handheld transmitters and bellybox transmitters suitable to control mobile hydraulic devices. Tough nylon box sealed to withstand extreme environments. Combine up to 8 levers and 4 joysticks. Frequency hopping in challenging RF situations. Smallest, lightest bellybox available. 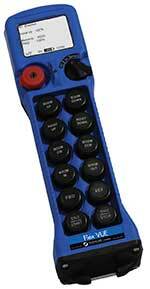 Select a wide variety of toggle switches, potentiometers and selector switches. CAN-bus option available. A larger bellybox, the CHTX connects to a chest plate worn by the operator for easy carrying. Customizable for many types of applications. Compact Bellybox style is made of lightweight polymer and is 50% lighter than others of its type. Up to 7 levers and 2 joysticks available. Order custom units or purchase standard models. Lightweight, contoured for comfort bellybox. Configurable via PC. Proportional handheld controller. Can be programmed in the field using I-CHIP. Handheld wireless controller. Proportional with status display. 4, 8, or 12 button models available. Pistol grip transmitter box. Comfortable to use with all of the controls you need. Handheld proportional controller. Tethered to machine for reliable operation when RF is not an option. 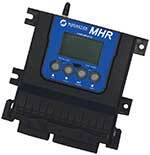 Radio receiver and hydraulic controller in one convenient package. Modular design allows you to use this one controller for numerous functions. Simply add additional modules to expand its capability. Add remote control easily to any CAN-bus compatible machinery including J1939, Parker ICP, and CANopen. 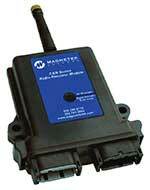 Operates on 400MHz, 900MHz and 2.4GHz for interference free communication.